CRADLE... SWASTH FASAL KE PEHLI KHURAAK, is a unique Mycorrhizal Biofertilizer that is targeted for root establishment and chlorophyll metabolism that ensure better crop establishment to derive long term healthy crop and higher yield. Initial establishment ensures enhanced capability in plants to overcome and recover from biotic and abiotic stresses. 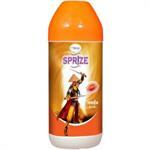 The product has been conceptualized and developed by R&D Centre of InGene Organics. 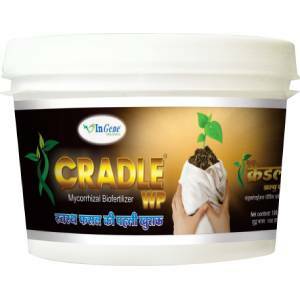 Cradle helps to absorb and mobilize primarily phosphorous along with other important macro and micro elements and water. 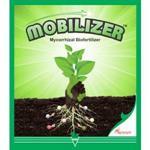 Compatible with other Biofertilizer of different categories (N, P, K and S - fixers and solubulisers). Gives protection to the plants from pathogenic fungi and nematodes causing damage to the roots. Environment friendly and does not affect ecological balance. Cradle increases number of white roots. It enables spread of the roots all around and helps in development. 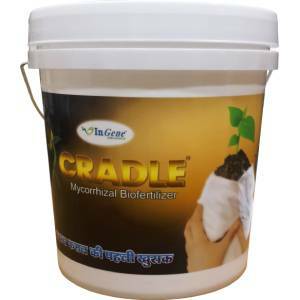 Cradle improves inferior soil by regulating the number of bacteria available from the soil. 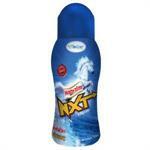 Helps the plants against shortage of water or conditions of drought. Increases amount of Carbonic elements in soil which maintains friability of soil. Plant absorbs more humus and micro nutrients from soil. It is proved much effective in maintaining moisture in soil for a long time. Enhances amount of air within the soil. Maintains balance of pH of soil. Enhances activity of photosynthesis by Chlorophyll. Due to this the plants look green and fresh. 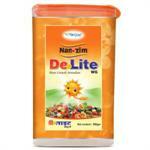 Helps the plants in growing rapidly. Cradle infuses regeneracy in virus infected plants and the plant grows vigorously. 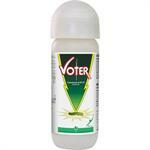 Helps in eradication ill effects of herbicides, insecticides, fungicides and other chemicals. Significantly increases production by developing germination, number of branches, setting of fruits. Brings about qualitative improvement in production. Due to which benefits of long-time storage and market value. Cradle in early stages of seedling / plant development provided initial strength needed for robust stem, tillers and branching that can help bear good flowers. It plays a critical role in chlorophyll development which increases photosynthesis leading to green leaves providing Higher energy (ATP) for growth. Soil Treatment: For improving texture of soil. Only healthy and lively soil ensures 100% profit of the produce for the farmer. Method of usage: Mix 2 Kg Cradle with synthetic fertilizer or soil of the farm or with any other granular fertilizer and use it before sowing. Cradle could be used 26 days after sowing. Method of usage: The crops in which quantity of seeds is less than 1 Kg, 10 gms Cradle should be rubbed well on the seeds. For the crops, where quantity of seeds is higher than 1 Kg, 20 gms Cradle should be mixed with water and sprinkled over the seeds and used after drying them under shade. Seedling / Plant Treatment: For better establishment of plant, root system and all-round growth of plants. Method of usage: Prepare a solution by dissolving 10 gms Cradle in fifteen litres water. Then, transplant the seedlings by dipping the roots for 5 minutes in this solution. 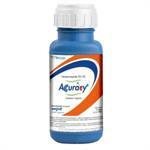 Spray at 25-30 day: For availability flowers and growth of fruits/and produce. Method of usage: Dissolve 10 gms Cradle in fifteen litres water and prepare solution. The spray well this solution on these seedlings. Spray at 45-60 day: For increased production of fruits, spikes. Use of Cradle is suitable for Mentha, Tomato, Eggplants, Chillies, Capsicum, Onion, Garlic, Potato, Cucumber, Cabbage, Cauliflower, Peas, Muskmelon, Watermelon, Beet, Groundnuts, Rice, Wheat, Sugarcane, Cotton, Soybean, Banana, Grapes, Lemon, Orange, Pomegranate and all the crops.